Ferghana (Uzbek: Fargʻona/Фарғона, فەرغانە; Tajik: Фарғона, Farğona/Farƣona; Persian: فرغانه‎‎ Farġāna/Farqâna; Russian: Фергана́) is a city (population: 187,100), the capital of Fergana Region in eastern Uzbekistan, at the southern edge of the Fergana Valley in southern Central Asia, cutting across the borders of Kyrgyzstan, Tajikistan, and Uzbekistan. Fergana is about 420 km east of Tashkent, and about 75 km west of Andijan. The fertile Fergana Valley was an important conduit on the Silk Roads (more precisely the North Silk Road), which connected the ancient Chinese capital of Xi'an to the west over the Wushao Ling Mountain Pass to Wuwei and emerging in Kashgar before linking to ancient Parthia, or on to the north of the Aral and Caspian Seas to ports on the Black Sea. It used to be called ferghana, during the Kushan empire. The ancient kingdom referred to as Dayuan (大宛, "Great Yuan", literally "Great Ionians") in the Chinese chronicles is now generally accepted as being in the Ferghana Valley. It is sometimes, though less commonly, written as Dawan (大宛). Dayuan were Greeks, the descendants of the Greek colonists that were settled by Alexander the Great in Ferghana in 329 BCE, and prospered within the Hellenistic realm of the Seleucids and Greco-Bactrians, until they were isolated by the migrations of the Yuezhi around 160 BCE. It has been suggested that the name "Yuan" was simply a transliteration of the words “Yona”, or “Yavana”, used throughout antiquity in Asia to designate Greeks (“Ionians”). Their capital was Alexandria Eschate. sizes in the region. The population numbers several hundred thousand. 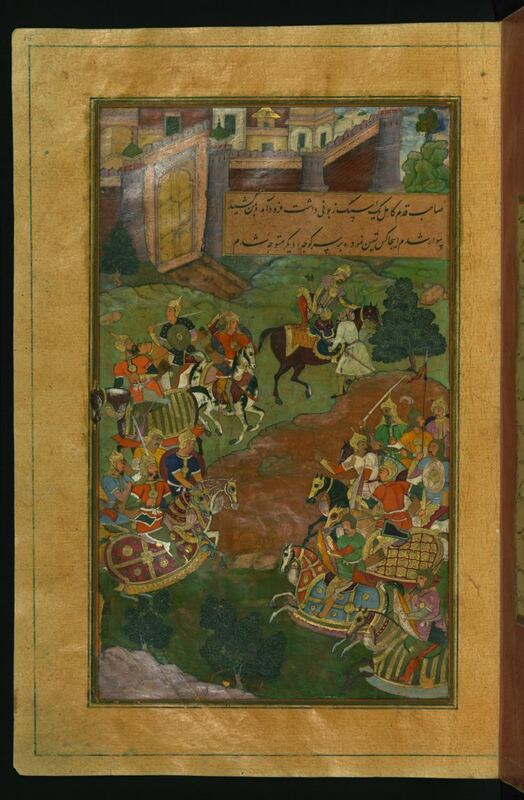 The people fight with bows and spears and can shoot from horseback. Dayuan is bordered on the north by Kangju, on the west by the kingdom of the Great Yuezhi, on the southwest by Daxia (Bactria), on the northeast by the land of the Wusun, and on the east by Yumi (Keriya) and Yutian (Khotan)." Da Yuan appears as a powerful state in both the Shiji and the Hanshu. However, after Xian, king of Yarkand, conquered it about the middle of the 1st century CE, it gradually lost importance. The Hou Hanshu adds that Da Yuan sent tribute and offerings to the Chinese court in 130 CE along with Kashgar and Yarkand. After that, it is referred to as Liyi 栗弋 (preferably read Suyi 粟弋), and is specifically stated to be a dependency of Kangju. Zoroastrian literature identifies the area as the Zoroastrian homeland. It was known as "Özkent" during Karakhanid rule. Fergana also played a central role in the history of the Mughal dynasty of South Asia in that Omar Sheikh Mirza, chieftain of Farghana, was the father of Zahiruddin Muhammad Babur (1483–1530), founder of the Mughal dynasty in India. 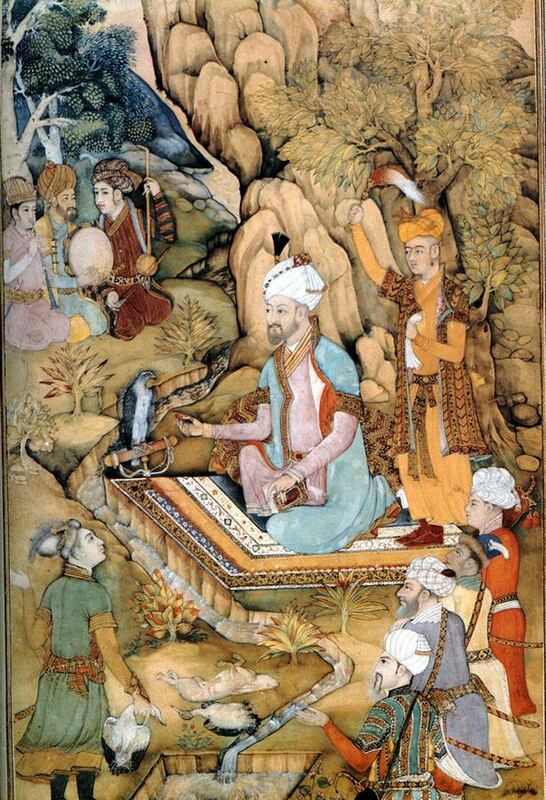 At Mirza's death in 1498, Babur became chief, although he was still a minor. During the expansion of Russia in the nineteenth century the Russians invaded Turkistan, gradually taking it over between 1855 and 1884. They took the capital of the Kokand Khanate in 1873 and included it within what was named the Fergana Province of the Russian empire. 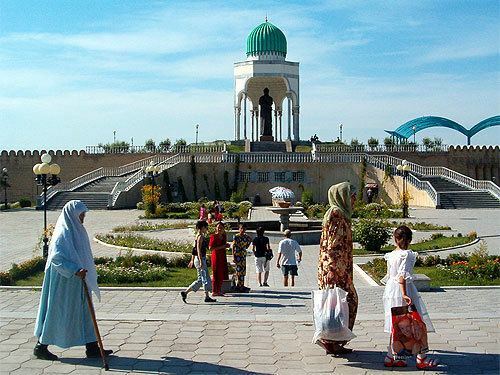 Modern Fergana city was founded in 1876 as a garrison town and colonial appendage to Margelan (13.5 miles to the northwest) by the Russians. It was initially named New Margelan (Новый Маргелан), then renamed Skobelev (Скобелев) in 1907 after the first Russian military governor of Fergana Valley. In 1924, after the Bolshevik reconquest of the region from basmachi rebels, the name was changed to Fergana, after the province of which it was the centre. The Fergana canal was constructed in the 1930s. Fergana has a desert climate (Köppen climate classification BWk). Winters are cool and short, with a daily average low temperature of −2.8 °C (27 °F) and a daily average high of 4.6 °C (40 °F) in January; summers are hot, with an average low temperature of 20.3 °C (69 °F) and an average high of 34.7 °C (94 °F) in July. Annual precipitation is less than 200mm, and is higher in winter and autumn. The population of Fergana is approximately 187,100. Tajiks and Uzbeks are the largest ethnic groups. Fergana’s wide, orderly tree-shaded avenues and attractive blue-washed 19th century tsarist colonial-style houses are said to mimic the appearance of pre-modern and pre-earthquake Tashkent. There is a high proportion of Russian, Soviet Koreans and Tatar inhabitants compared to other Fergana Valley cities. With Russian as the primary language, the city has a distinctly different feel from most Uzbek cities. It retains an air of Soviet-era, pre-independence Uzbekistan. Fergana has been a center for oil production in the Fergana Valley since the region's first oil refinery was built near the city in 1908. Since then, more refineries have been added, and Fergana is one of the most important centers of oil refining in Uzbekistan. Natural gas from western Uzbekistan is transported by pipeline to the valley, where it is used to manufacture fertilizer. The Great Fergana Canal, built almost entirely by hand during the 1930s, passes through the northern part of the city and completed in 1939. During its construction, the canal and the city was widely photographed by the noted photographer Max Penson. With a western loan Fergana is able to modernize its refinery and also reduce air pollution emissions.